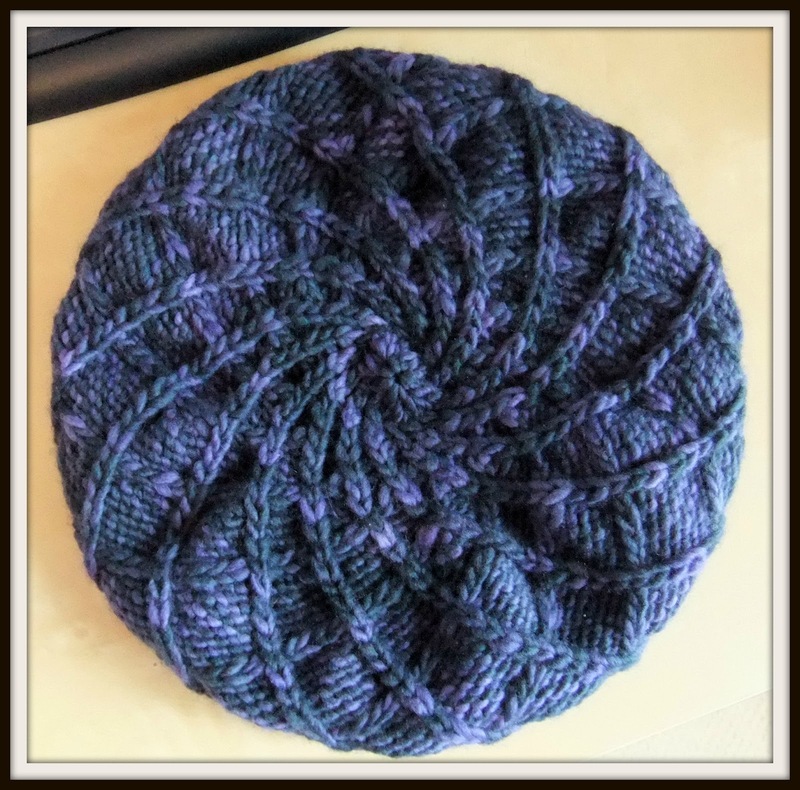 My Woolly Wormhead Aeonium Beret is finished, and it's lovely (even if I say so myself!). It was actually finished over a week ago, but I only got around to getting some photos of it yesterday. The yarn is Malabrigo Merino, and the colour is called Paris Nights 052. In my last post I mentioned that I was having trouble with the round I was on. Well, when I picked it up again, I tinked back about 10 stitches, and everything was grand! I don't know where I thought I was going wrong, but it was easily fixed! This pattern may look complicated, but, honestly, it's the easiest thing. If you can work a cable, you can make this hat. The only thing I had to keep an eye on was that I was cabling in the right direction. The pattern is wonderfully written, and so easy to follow. 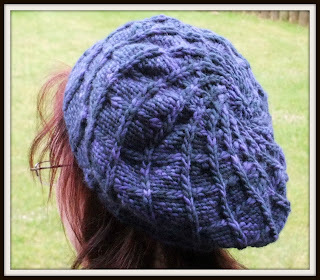 I think my next Woolly Wornhead pattern will be QL Slouch. Below are some photos of the inside. I love how the decreases on the last few rounds look all swirly! You can see it best in the middle photo below - I don't know why the colours turned out like that! So then I started another beret, this one is called Breiwick, and is by The Shetland Trader. 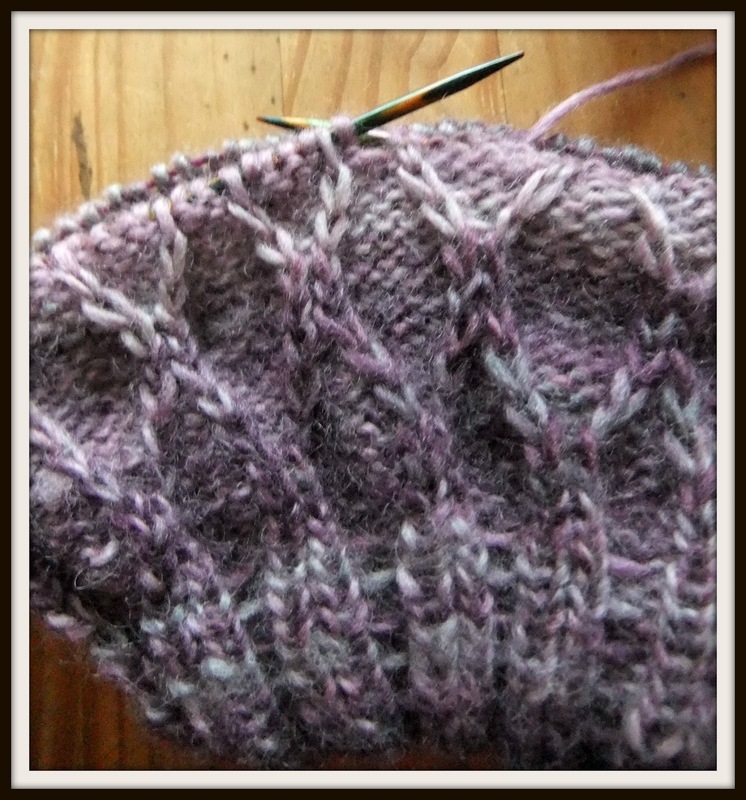 The yarn is Twilley's of Stamford Freedom Spirit DK. 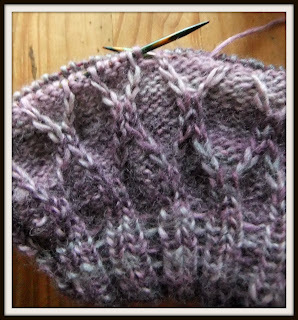 There are two pattern repeats before the shaping for the crown, and I am one round before the end of repeat one. I do like how it's turning out, and the colours are changing together nicely, which is always pleasing! I have also been doing a bit of shopping. 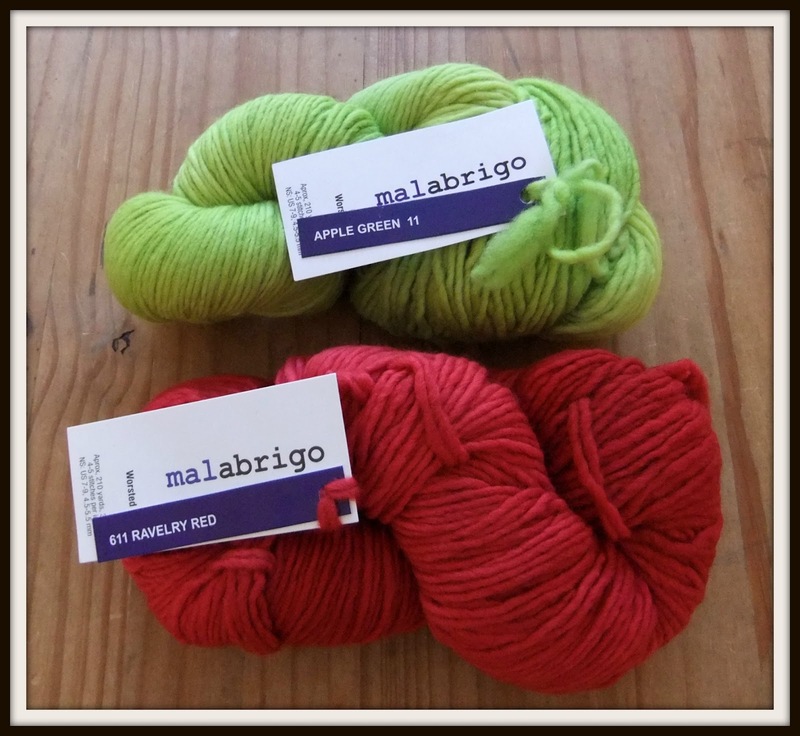 I bought two skeins of Malabrigo Merino - Apple Green and Ravelry Red. The green is mostly likely going to be Gretel or Brambles, and I haven't decided about the red yet. And in sewing news, my Picnic Blanket skirts are features on Tilly's blog this week (yey! ); and I won a pattern giveaway yesterday (double yey!). I couldn't believe it when I got the email! 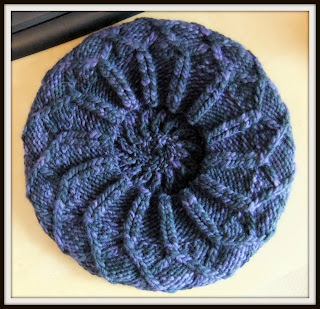 It was from Ginger Makes, who's blog is lovely, and she makes the most beautiful things. It was the choice of any pattern from Victory Patterns. Now, I have been wanting the Madeleine skirt pattern for a while now after seeing this version on Victory Patterns blog. 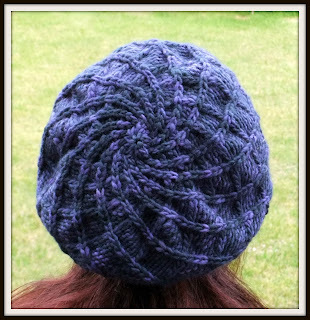 In fact, I was going to buy it yesterday morning, but got sidetracked with an online classes sale on Craftsy. It's a downloadable pattern, and I have just finished printing it out. So guess what I'll be doing today! Thank you very much to Ginger and folks at Victory Patterns. I love the hats, really lovely. I wish I suited hats :) Those two skeins of malabrigo look divine, suitably envious! Beautiful knitting...I am in awe! Shall be interested in your take on Madeleine, I've bought it too...but keep forgetting I've got it! I love that beret. I must get one knitted for me this year. Mr JK tells me I have a head for berets!! !